Those with ongoing medical conditions are advised to take out pre-existing medical travel insurance before travelling to certain areas of the USA, after an outbreak of E. coli bacteria in the country. The bacteria was found to have links to 14 illnesses in six states in April and May and three people were taken to hospital, according to the Centers for Disease Control and Prevention. There were six cases in Georgia, four in Louisiana, two in Alabama and one each in Tennessee, Florida and California, but no type of contaminated food or other reasons for the illnesses have yet been found. Most kinds of E. coli are harmless, but it is a large family of bacteria and the E. coli O157:H7 strain is thought to be the most dangerous, especially after a large outbreak of the strain in hamburger meat around 20 years ago. The E. coli O145 strain associated with this latest outbreak is one of six other similar types that are thought to be dangerous. 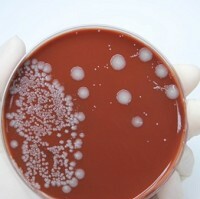 Stacey Bosch, leader of the investigation into the outbreak for the CDC, said: "These are not newly emerging bacteria. Our awareness of them has been improving." This strain of E. coli often leaves people sick between two and eight days after taking it in, and is a bigger threat to very young and very old people or those with weak immune systems. Experts believe that these age groups have a greater chance of their blood being poisoned by toxins created by the E. coli which can lead to kidney failure.